Thank you! | Random moosages as I see fit. Ok, I think this is the last card for awhile. Last weekend, I had the opportunity to attend a high school Christian conference with one of my high schoolers. Normally, these conferences are held in the San Bernardino mountains. This time, they decided to do something different and they held all the conferences locally, which meant that we were in Anaheim for the weekend. Since we were in a large, urban area, everyone was housed with nearby families as opposed to individual cabins. Well, this presented me with an interesting challenge. When a family allows me to stay at their home for a little bit, I feel that I should present them with some kind of gift as a gesture of appreciation, because…I appreciate it. They don’t have to house me for a weekend, or whatever period of time. They probably have other, more interesting things to do than to house me or others. It’s very nice of them to do so. But in this case, they volunteered their house for the purpose of housing a bunch of high school girls and accompanying counselors, so I felt that giving a grandiose gift would be out of place. What to do? TADA! 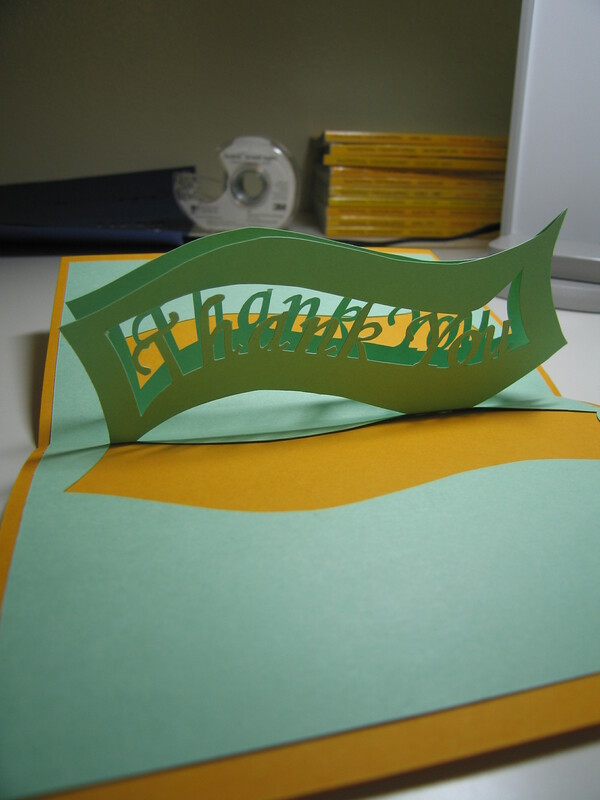 A homemade card that has lots of open space for us to write something we enjoyed from the conference. And that’s what I did. The template is from Creative Pop Up Cards, another good source of interesting cards. He even provides video tutorials. 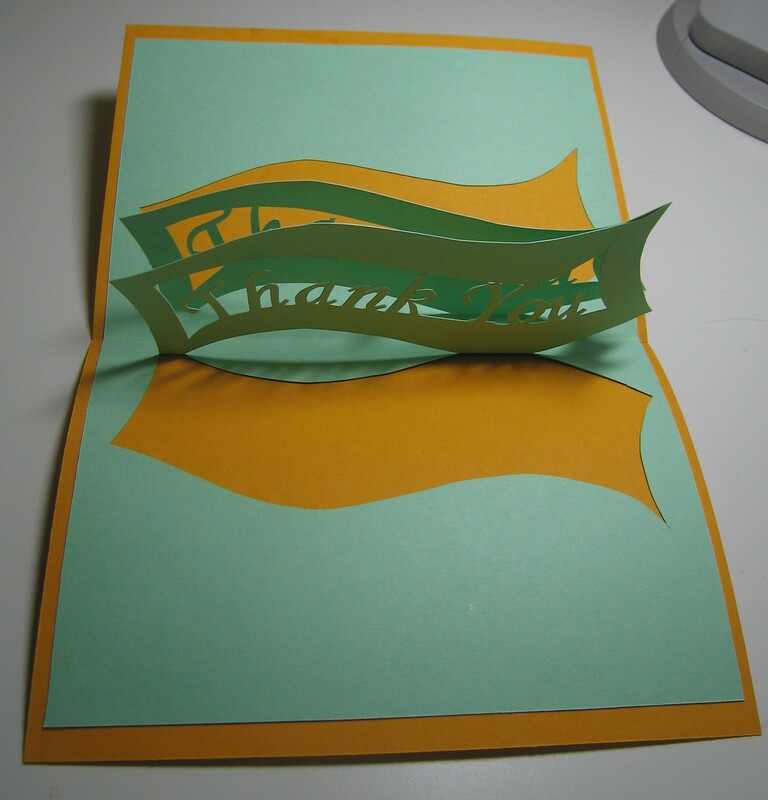 I used golden yellow and seafoam green cardstock for the card. It was a color palette born out of poor planning. The the bright yellow worked out really well, actually. It meant that the card was hard to miss and our host family is sure to see it. Huzzah! « Do you really want eyes on the back of your head?